One of my favorite spots on the farm where I grew up. Many people don't know this, but I grew up on an organic farm in Iowa. Eating organic, recycling, finding alternative power sources, using natural health/beauty/house cleaning products, etc. has been a part of my family's life for decades. Being with mom through two cancer diagnoses, though, has made us hyper aware of our health and specifically what we put in our bodies, what we put on our bodies (I'm talking to you, ladies - our skin is extremely absorbent), and what we use to clean the environment around our bodies. Me on the farm in 2009. I realize that there are people who do "everything right" - eating well and taking good care of themselves - and they still get cancer or get sick. I'm not claiming that by using natural products I am exempt from illness, but I do want to try my very hardest to take the best care of myself that I can by using products that are as natural as possible. I also feel that it is our duty to care for the Earth and many of these products are kind to this planet we inhabit as well - a double whammy of goodness for body and environment. When we were at the CTCA, people would often ask me what natural health and beauty products I used. There are now so many all-natural companies offering excellent options, I really encourage everyone to go out and try things for themselves as tastes vary so much from person to person; however, I do happen to have some favorites that I love to recommend, because I think they're just so darn good! Many of the products listed below can be found at some of my favorite online retailers as well as convenient shops in nearly everyone's neighborhood such as Target, Lucky Vitamin, Amazon, Vitacost, and others. Look around and seek out the best price at the time; which might change from month to month or even week to week with sales and specials. These two are by far my favorite hair care products! Mr. C and I both love this pair by Giovanni Cosmetics. 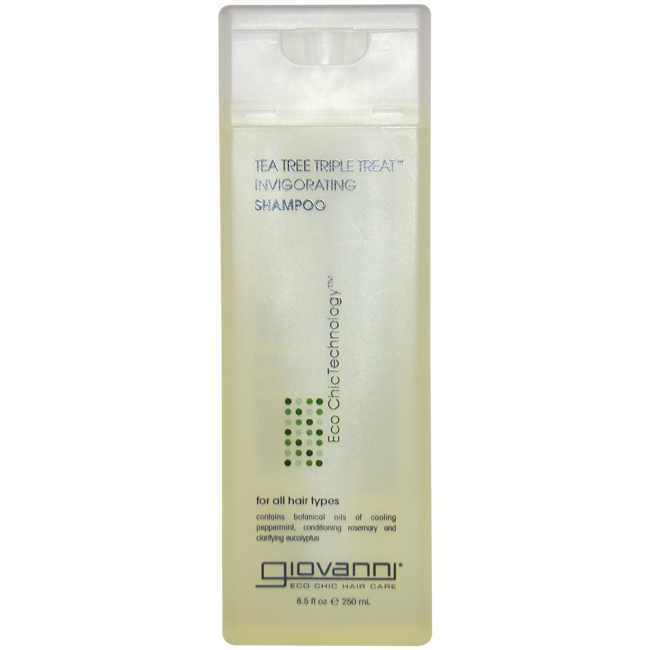 The tea tree oil is invigorating as it tingles the scalp. The smell is almost minty and not at all overwhelming like some tea tree products can be. I also love that it is safe for color treated hair (more on natural hair color further down). 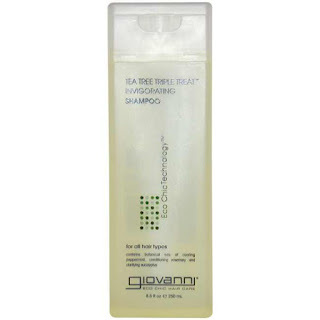 Most conditioners leave my uber-straight, fine hair feeling heavy or at worst greasy. This conditioner is light yet moisturizing. All-in-all, I adore these products! I'm a big fan of Avalon Organics. I think their product line is amazing, and this shampoo is really nice. All of the scents are lovely, but there's something soothing about the lavender that I simply love. 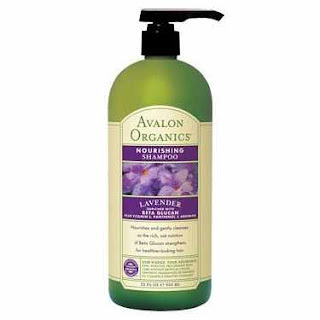 It has a matching conditioner as well, and they both come in large bottles (shown above) with pumps that last forever and give you the best bang for your buck. 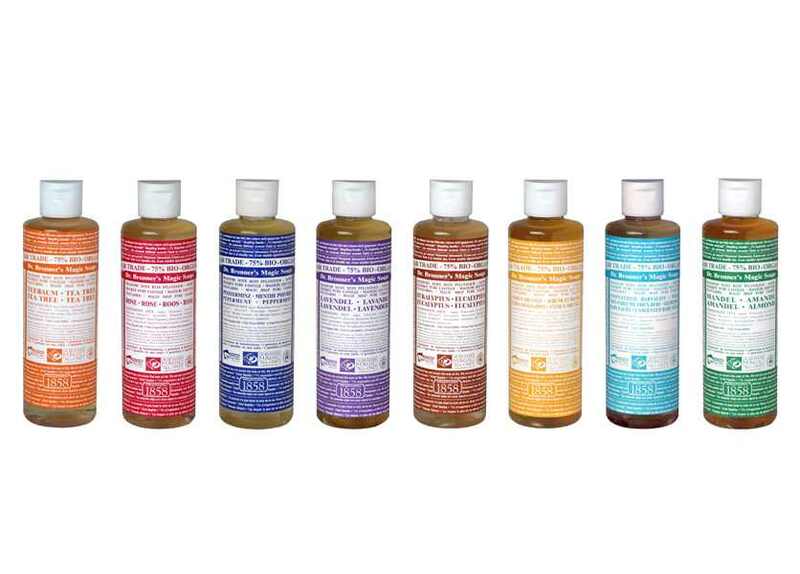 Mr. C and I just recently started delving into the fantastic world of Dr. Bronner's magic soaps, but can I just say this company is amazing! I am so impressed with their ethics and commitment to creating the best soaps with the highest quality, fair-trade ingredients possible. 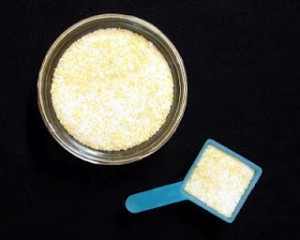 Most natural soaps (shampoos included) don't lather as much as their chemically-laden counterparts, because they are lacking the nasty stuff (sulfates, phthalates, etc.) that are known carcinogens and therefore bad for you. 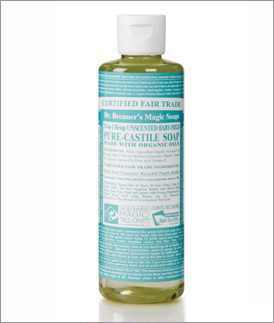 Dr. Bronner's castille soap still gets super luxurious lather, though, by using massive quantities of fair-trade coconut oil. 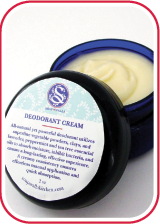 My struggle to find an effective, natural deodorant has been literally years in the process. I think I've tried nearly every brand and every product type available to no avail. My main goal was to cut out antiperspirants from my daily routine since they contain aluminum which is linked to breast cancer and Alzheimer disease (and we apply this stuff to our under-arms, a place chock-full of lymph nodes - ugh!). While I quickly got over the fact that I do, in fact, sweat (imagine that! ); it was harder to get over the constantly sticky feeling most of these vegetable oil based deodorants left behind. But I could have dealt with just about anything to find a natural deodorant that actually deodorized! Most of the time I felt as though I needed to apologize for my own "stank". I'm all for embracing the human body's natural processes (such as sweating), but I'm just not one of the those folks that feels everyone should have to endure my smelliness therefore. I had all but given up on the possibility of finding a truly effective natural deodorant when I stumbled upon an online review of Soap Walla's deodorant cream. Yes, I said cream. Instead of the traditional hard stick, this deodorant comes in a little tub and is applied like a lotion to the under-arms. At first, I thought this would be a massive inconvenience; but as I started using this product on a daily basis, I quickly got over any reservations I may have initially harbored toward this incredible product. This deodorant goes on easily and soaks in quickly - no wetness left behind. The best part is that it's not at all sticky and (wait for it) it actually works! Unlike most all the other natural deodorants I had tried over the years, I apply this once in the morning and it lasts all day! Miracle of miracles! The smell isn't over-powering at all, yet it's effective; and it is so masterfully compounded that I truly believe both men and women could get away with wearing it without feeling as though they are compromising their masculinity or femininity, respectively. Tea tree oil is used to keep bacteria from growing (and making the aforementioned "stank") while natural powders and clays help to dry up any wetness that may occur. I cannot stop bragging up this product; it is truly that amazing! 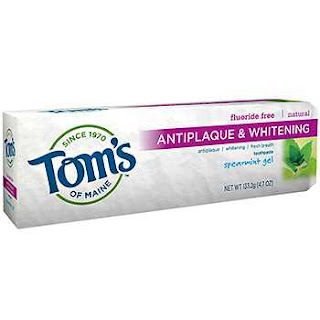 Tom's of Maine has some of the best natural toothpastes around, in my opinion. In my experience, many natural tooth polishes are gritty and taste terrible. Spearmint is my personal favorite as far as toothpaste flavors go, and this one is fresh and invigorating. I also love knowing that I'm using a natural toothpaste without having to forgo whitening benefits - win-win! 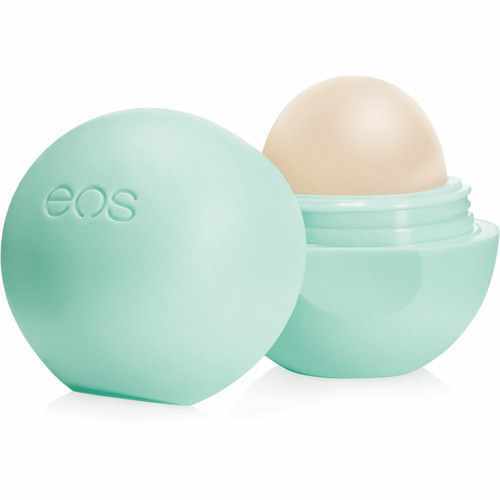 There's just something about those bright, little, round globes of lip goo goodness by EOS that I can't help but be drawn to time and again. My favorite lip balms are almost always some type of mint, because they double as breath fresheners; but EOS' sweet mint is especially tasty and not at all over-powering. The little dome of balm is held in an egg-like container that fits surprisingly well in my new small handbag, and I love how easily it glides on my lips. Best of all it's nearly all organic, and is entirely natural - very important for a beauty product you literally end up eating most of the time! 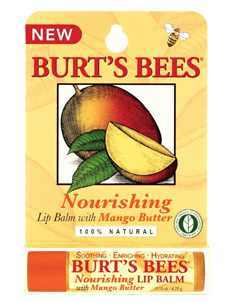 I really love the original Burt's Bees lip balm, but the fruity flavors have been growing on me lately. Mango is one of my favorite flavors and fruity scents; so, I was drawn to this balm immediately. It glides on smoothly, smells (and tastes) great, and is 100% natural. Over the past few years, as I've entered my early 30's, I've noticed that my skin has begun to get fairly dry and itchy on a regular basis (an issue I never had to deal with before). I would often slap on some scented lotion from a prominent beauty goods chain only to find I was still dry and often sensitive to the harsh chemicals and scents in their products. 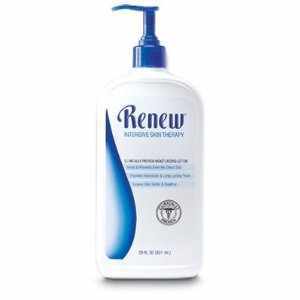 My parents buy each month from the Melaleuca product line, and one day my dad offered me a bottle of their Renew lotion. I was hooked! I especially love to lather this on after I've shaved or after a hot shower. It soaks right in without feeling too thick or gooey. Although, I love nice smells as much as the next girl, this isn't full of fragrance; which is actually good in my opinion for irritated or dry skin, especially in the winter. Although, I believe these moisture shaves by Kiss My Face are intended for men's shaving needs, I find they work well for a woman's as well. 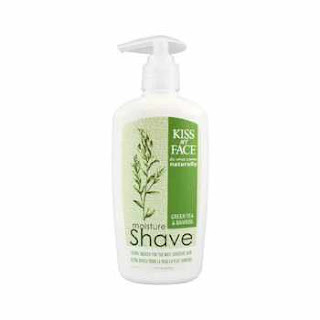 My dad always used the key lime scent, and once when I was out of shaving cream of my own I used it on my legs. I was pleasantly surprised, so much so that I bought my own bottle; later, I decided to try a new scent, and the was drawn to the fresh, clean fragrance of the green tea and bamboo. For those women who find their legs getting particularly dry or irritate during/after shaving (or men whose faces feel the same), I highly recommend this product! Naturtint's natural colors are as convenient as any other box dye without all the extra nasty stuff that comes along with those commercial brands. Dark hair dyes have been linked to cancer; but as a person who has been dying her hair since she was 13, it was important to me to find an alternative that worked just as well as any other dye I could find. You can mix any of their colors to get just the right shade, and because it's all natural (NOT henna) you can dye over it within hours if you absolutely hate how it turned out. I always go for a red; so Fireland is a natural choice, but my sister, W, has used the mahogany-chestnut and it turned out really nicely. Okay, so truthfully, as you all know I have obviously not been able to put this one into practice yet; but this really is the product we plan on using on Desmond when he gets home from South Korea. In fact, we're pretty enamored with the whole California Baby product line in general. All of their products are allergy tested, and many are free of gluten and other known allergens that can irritate sensitive baby skin causing rashes. Usually, I love anything labeled "calming" (after all, who couldn't use a little more calm in their life?! ); and this body wash was no exception. Desmond's developmental report says he loves bath time; so, I'm hoping this soothing body wash will help keep him loving it even after he comes home to us. 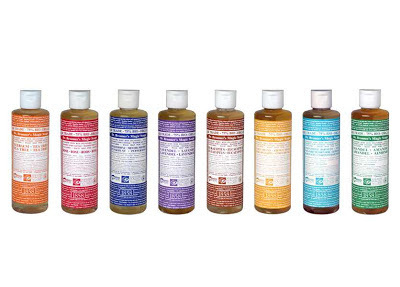 Yep, it's Dr. Bronner's again! I've already sent Desmond's foster omma a bottle of this to use on his hair and body. It's completely scent-free; so, I know there's nothing in it to cause an allergic reaction and irritate his skin. 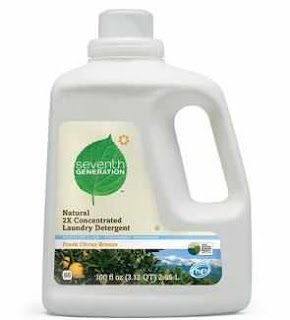 I'm also considering washing his clothes in this as it doubles as a laundry detergent (it even comes in a convenient one gallon jug size for that purpose). 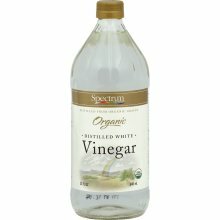 Mr. C and I have been making our own, homemade household cleaner out of organic vinegar, alcohol, water, and essential oils. Recently, we've taken to putting several drops of either eucalyptus or tea tree oils for their bacteria -killing properties. I feel good knowing that we are saving money on these long-lasting homemade products as well as cleaning with a solution that is safe to spray around my soon-to-be toddler and pets. 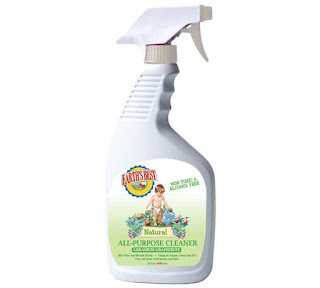 This is touted as a "nursery cleaner", but it's really just an all-purpose cleaner that's safe enough to use in a nursery. Earth's Best is one of my favorite product lines for infants and toddlers. In fact, we are sending Desmond some of their organic formula in a care package. I just love their commitment to organic children's food products; warms this momma-to-be's heart. I like this recipe from one of my favorite blogs The Eco Friendly Family. It's simple, cheap, and makes a ton! My family has been using Seventh Generation products for a long while now, and I've always been a big fan of their laundry detergent. There are more products that I love; so, I think I might have to follow this up with another post. But I hope this has given all of you just beginning to delve into the world of natural health/beauty and home care products a good jumping off point. Wow that is where you grew up? I am sooooo jealous!! I prefer to go a atep further and use yogurt, eggs, etc for my hair. Cannot get more natural than that! Check out soap nuts(/soap berries) for laundry too if you haven't already! They're fantastic. I remember there being something I didn't like about Burt's Bees & Tom's ingredients but I have enough energy to type this and not enough to look it up and confirm it :d Sorry. Catching up after a long time, I still love reading your blog (and I can really feel your feelings from your words). I'm really simple myself (baking soda and vinegar for almost everything haha) but I think my roommate will dig some of these suggestions... especially the deodorant!